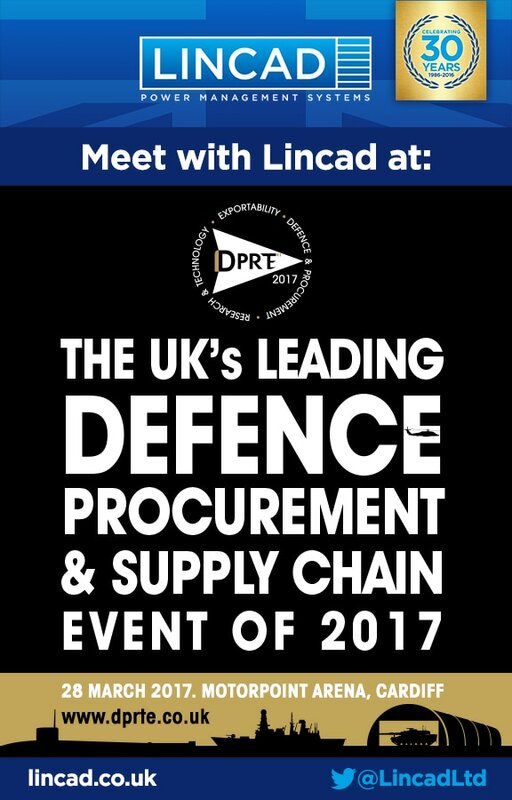 Leading battery, charger and power management experts, Lincad, will be exhibiting at DPRTE, the UK’s leading defence and supply chain event, taking place on 28 March at Motorpoint in Cardiff, Wales. The event brings together keynote speakers, innovative events and an exhibition space housing around 100 exhibitors from companies and organisations connected to the defence and supply chain sectors. DPRTE is an annual event aimed at professionals working in the defence, procurement, research, technology and exportability arenas. It is supported by DE&S and other key MOD organisations and offers attendees a wide range of features, including a live keynote area, product showcasing, knowledge transfer zones and two separate buyer engagement villages. Lincad has been providing military power solutions for specialist applications for more than 30 years. These applications range in size from small handheld devices to large artillery sub-systems. While Lincad’s main defence sector customers come from the UK in the shape of the MOD and other defence prime contractors, the company also supplies products to armed forces all over the world, both directly and indirectly. Lincad has also been involved in developing new battery, charger and power management solutions for a number of diverse industries and locations. The DPRTE website can be found at www.dprte.co.uk.